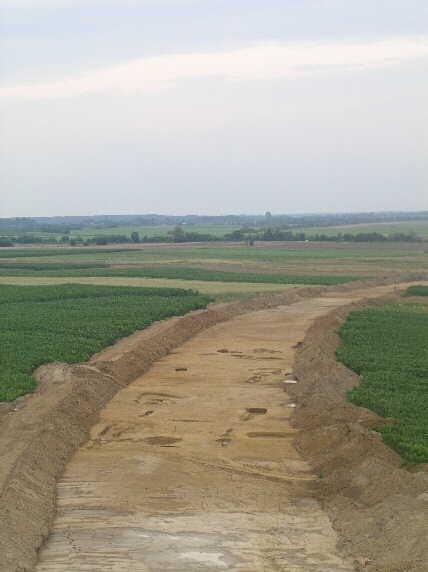 The archaeological site of Virovitica-Brekinja lies in a lowland area to the west of Virovitica. The salvage archaeological investigations carried out at the site in two campaigns in 2005 uncovered an area of 9000 m2 and resulted in the discovery of a prehistoric settlement. The archaeological excavations revealed the periphery of a Neolithic settlement covering an area of 5400 m2, while the centre of the settlement extended east of that position, in a space untouched by the route of the future road. The investigation yielded mostly working spaces and fences of various functions, that is, peripheral parts of the settlement. The majority of sunken structures have a narrow system of access, and all contain a complex of plateaus and interior pits. One structure, although only partially excavated due to the fact that its major part lay outside the expropriation line, can be positively interpreted as a residential structure, because the excavated narrow ditch on the interior side of the edge, together with a post-hole, probably supported the upper, above-house construction. 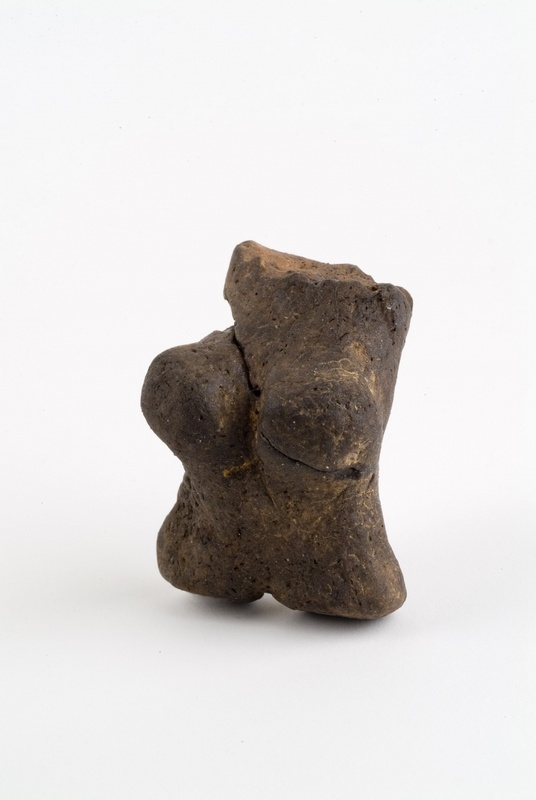 On the other hand, based on the movable finds discovered in the larger complex of the structure, for instance a ceramic idol (a figurine of a woman with the preserved lower part with a pronounced steatopygous attribute), or a large stone adze lacking visible traces of processing, found next to the structure, we can assume that at one phase of the existence of the settlement this space was used for performing cult activities. An important part of the assemblage of movable finds consists of stone objects, mostly chipped artefacts, but there were also seven quernstones, as well as handstones for grinding cereals. The most common ceramic type is coarse pottery with barbotine decoration, while painted pots were not found. The dominant functional types are rounded pots and pedestalled vessels. Several fragments of altars were found. Ceramic finds can be attributed to the Spiraloid B phase of the Starčevo culture. The Starčevo culture settlement at the Virovitica-Brekinja site ranks in terms of the investigated area among the largest excavated Neolithic sites in northern Croatia. The investigations showed that this was a single-layer lowland settlement with abundant movable finds, dated back to the Neolithic, more precisely the Spiraloid B phase of the Starčevo culture. Sekelj Ivančan, T., Balen, J. 2007, Brekinja, u: Zapadna Virovitička obilaznica. Zaštitna arheološka istraživanja 2005./2006. godine, Virovitica, 19-26.